What's better than coconut oil? So, today's sweet treat is something really special: GREEN TEA COCONUT FUDGE. 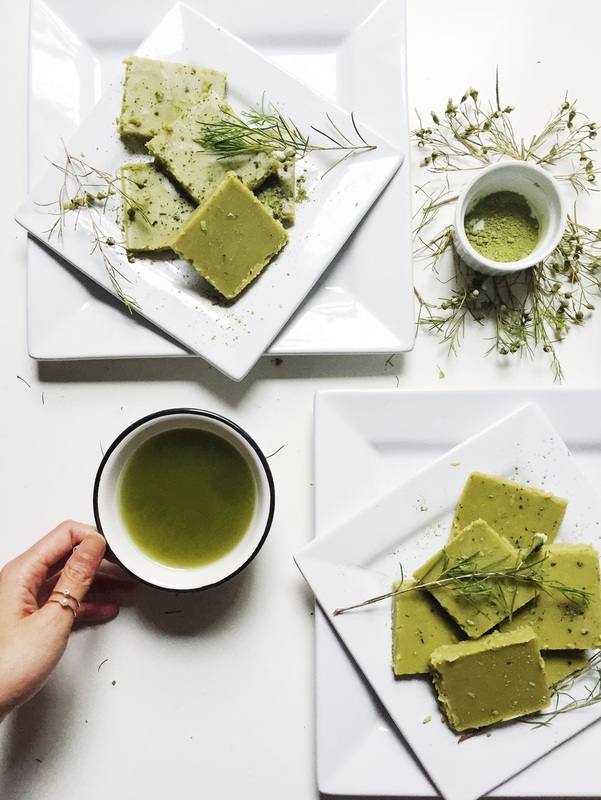 Made with organic matcha, coconut cream, maple syrup and Nutiva's buttery coconut oil! I usually find it so hard to make vegan or diary free versions of my favorite desserts, but when I smelt this coconut oil - it was literally like real butter! It's like having all the goodness of coconut oil with the taste fo butter. I'm not even kidding. A really interesting fact: the buttery flavour is actually derived from pure organic, fermented, gluten-free plants like sunflower, coconut and mint. And because the smell, taste and texture is so perfectly rich and smoothe and buttery - it's absolutely perfect for baking and making raw desserts! This recipe is no bake and super simple. YAY! Gently melt all the ingredients in a saucepan on low heat and gently whisk until everything is combined. Pour into a baking tray lined with parchment paper and let it set for a few hours. I let the mixture set in room temperature until it "takes shape" from liquid to solid-ish form, then chill in the fridge for 20 minutes. Once it’s solid, cut into small pieces and enjoy! :) The fudge can be stored either in room temperature or in the fridge depending on your preference on the texture!